Lighter again but still steady snow. Hopefully that band se of us makes it all the way.. Starting to think someone just south of the pike makes a run at 6"
LOL..... Well the Cape is about to get at least a foot. Boston will be in the 4-7" range. I think we see that shortwave pinwheeling around the upper low that has been progged to back some of the goods into SNE. Just NE of the OBX, that's what should redevelop mid level centers NE and reinvigorate the conveyors a bit. It's going to be painfully slow for people on the northern fringe that are just starting to snow. But once it does it should come down at a good clip. Very good consensus on all the meso models. That happened in Natick...just like a switch. Definitely getting the look of reorganizing E now. The bands are less W to E now, and instead more SW to NE. Yeah, the radar returns indicate big struggle with the dry air along the MA/CT border. That was always a tough forecast but returns have sort of fallen apart rather than filling in. Hopefully Kevin squeezes out a few inches but my confidence is low for Springfield area peeps at this point. Any idea on how long these bands will persist? Best band of the day coming through now here in central RI. 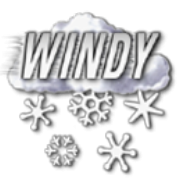 Southbridge MA: mod snow, strong gusts. Mod to heavy here 25F. 3.7" New in North Haven, CT.
We were stuck in a hole for about 30 min and it looked like some very dense snow almost graupel now we are picking back up again. My cousin's gf goes to school in Gettysburg. Said it's just epic. That is such a bad map. Hey, this storm has a super tight gradient, why don't we make it even tighter by showing an isometric view. Back to flurries. Dry air fighting.